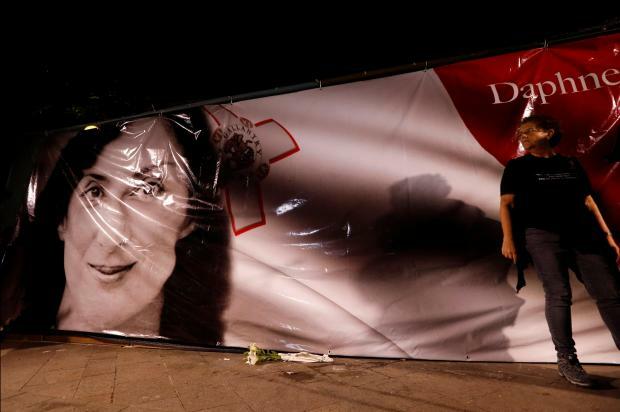 Protesters marking a year since the assassination of Daphne Caruana Galizia defied the authorities on Tuesday night by unfurling a new banner across the hoarding on the Great Siege Monument. “Do not dare remove this memorial,” they said to loud applause. 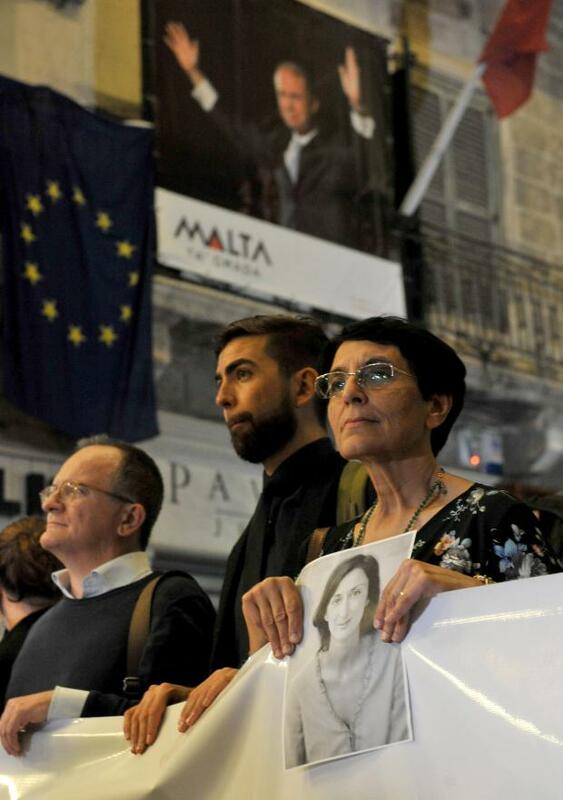 PEN international representative Carles Torner, representing Margaret Atwood, Salman Rushdie and several other writers, said corruption was a cancer in Malta. "We told the Prime Minister very clearly to respect the right to protest and the right to mourn,” Mr Torner said. 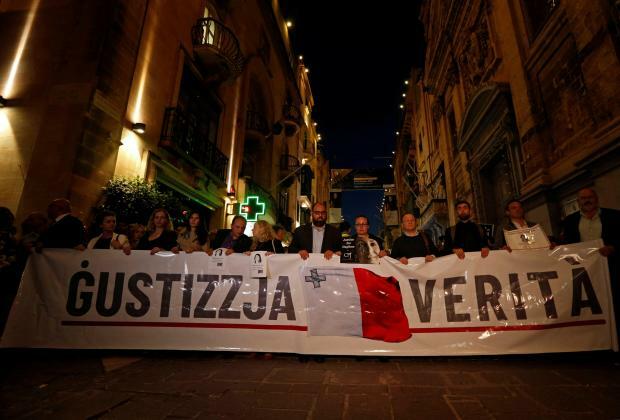 The crowd, holding up photos and placards, chanted 'justice' as they walked down Valletta's Republic Street on Tuesday. 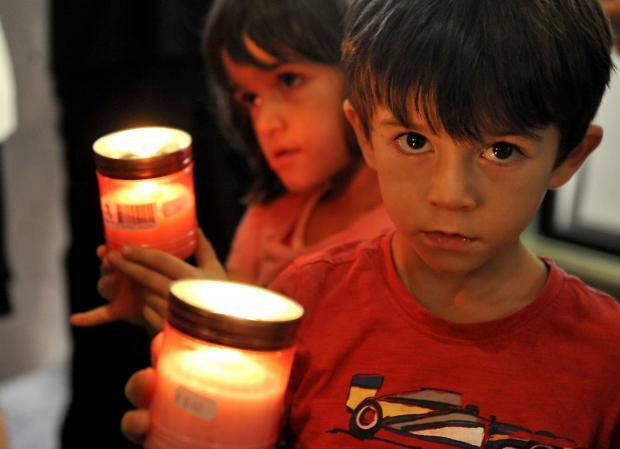 Some of the placards read “You killed a journalist to escape jail” and “Stop destroying our children’s future”. 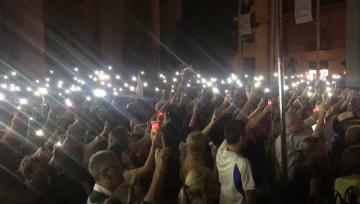 Several activists, including representatives of the Committee to Protect Journalists, the local press club IGM, and writers’ organisation PEN international, Nationalist politicians and students, had made their way down Republic Street and towards the Great Siege monument. 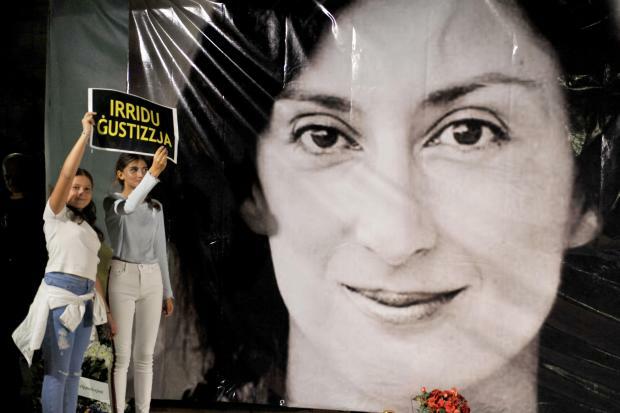 The monument has been repeatedly cleared of a memorial for the slain journalist. 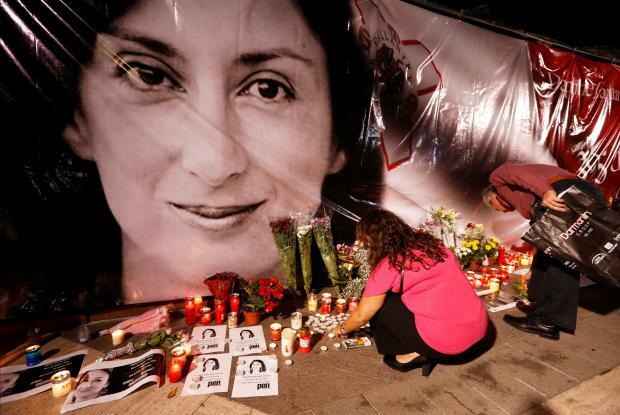 The crowd erupted into applause when a new banner was put up, covering the hoarding, saying “Daphne Caruana Galizia, 16-10-2018, 365 days”. 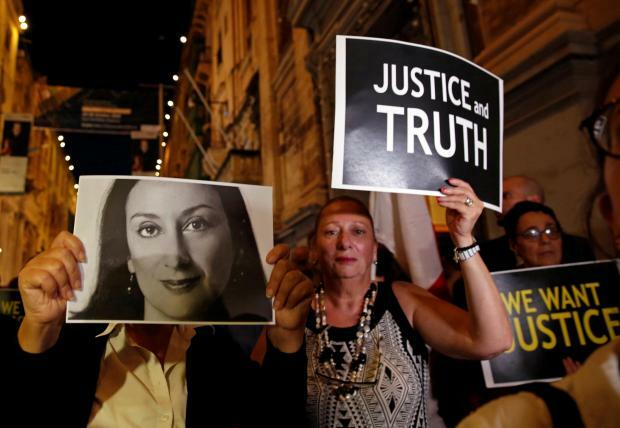 Activist Marion Pace Axiak referred to comments made by former General Workers' Union boss Tony Zarb saying Ms Caruana Galizia should never come back: “It’s true she never came back, but she never left us in the first place,” she said, to jeers at the mention of Mr Zarb’s name. Speaker Clemence Dujardin got teary-eyed as she addressed the crowd, saying: “We formed Occupy Justice because women are stronger together. Daphne, you should know we are not the only ones fighting,” she said. The vigil ended with the crowd singing the national anthem. Prior to the vigil, a Mass was organised, at which Reverend David Cilia hit out at the government's repeated efforts to remove a makeshift memorial for her. 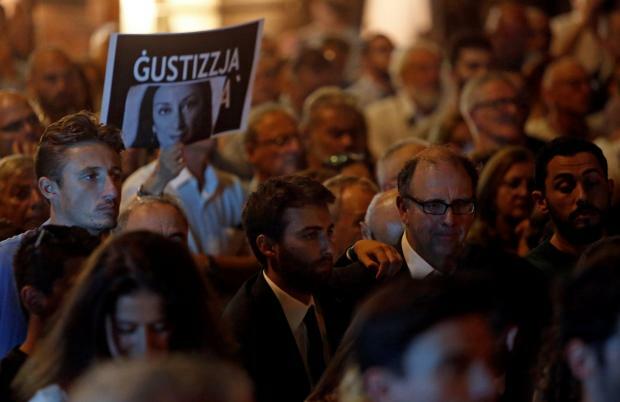 The “innocuous” candles and flowers had become a sign of irritation to those who do not want to know who murdered the journalist, he added. It was normal to feel that wickedness had replaced justice, Rev. Cilia - acting as the Archbishop’s delegate - said at the Mass at the Conventual Church of St Francis in Valletta, prior to the vigil which was addressed by 10 speakers. He said the past year was marked by many emotions and struggles, and above all, many questions. The congregation spilled out of St Francis Church and onto Republic Street, as mourners erupted into applause at the end of the Mass. Archbishop Charles Scicluna could not make it to the event since he was abroad. However, he sent a statement saying that people’s presence was a message to others that they were not alone. He prayed for all journalists and insisted they needed State protection more than ever.